How do I make money on Instagram? Making money on Instagram is not as easy as it sounds. You’ll need to prove your account as worthy in order to gain access into the world of Instagram monetization; especially with the field becoming really competitive. According to TechCruch, as of September 2017 – Instagram has 800 million monthly and 500 million daily users. It’s advertisers’ base has also grown from 1 million to 2 million advertisers within the scope of less than 6 months! This is of course not considering all the affiliate and account advertising that is done by individual profiles! 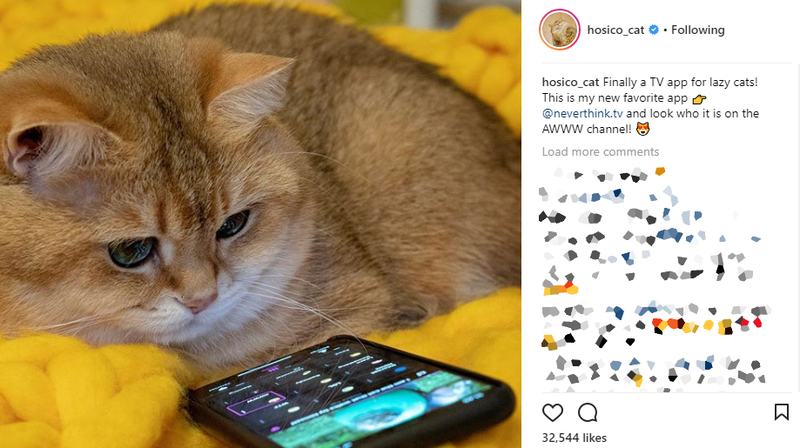 Check out this post by hosico_cat, one of the most famous cats on Instagram. In this post the profile is promoting the app neverthink.tv and linking to their channel by tagging them. This generally attracts visibility and some traffic to the page. Generally getting a post on an account like this can be expensive because of the large fanbase, this is why it’s good to make sure that if you’re looking for a page to sponsor you make sure their target audience is aligned with yours. Selling protein shakes through Hosico’s page for example would probably not be a good fit with the demographic of the page. This is also good to know for page owners, if you know the demographics of your page it will be easier for you to “sell” posts which someone sponsors. 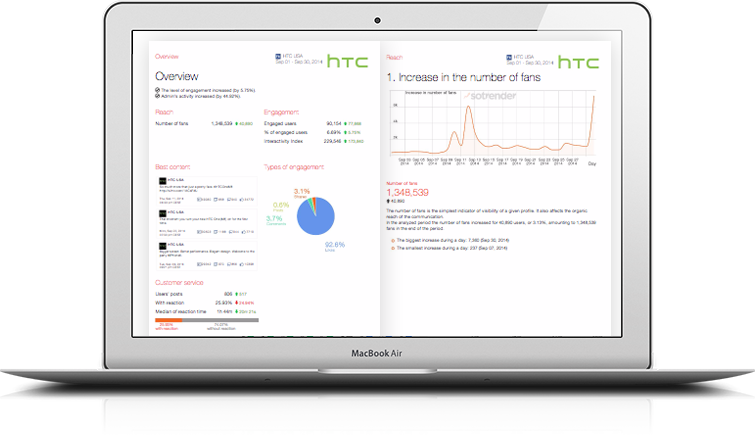 It will also be easier to make sure that you can justify the type of traffic that comes to the page you’re promoting and create reports for the sponsors, check out how you can do it easily with Sotrender!